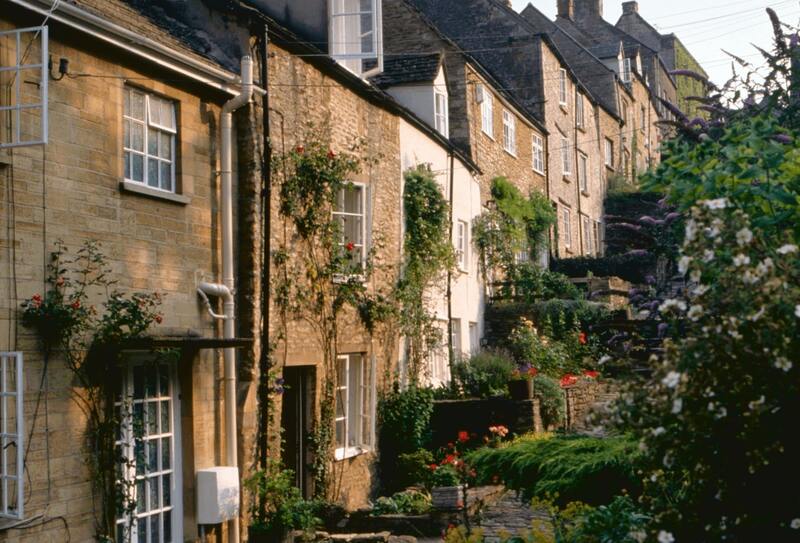 A thriving market town in the heart of the Cotswolds, Tetbury is a real favourite of ours. There has been a settlement here since 681AD when the Anglo-Saxon monastery was founded and the town’s continued prosperity was built further on the wool trade which thrived in this region for centuries. Nowadays it has an excellent reputation for independent shops, cafes and restaurants many of which nestle in its ancient buildings, oh and for being the town HRH The Prince of Wales and HRH The Duchess of Cornwall call home. 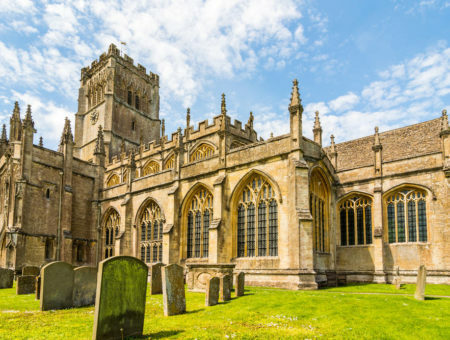 Tetbury is a great place to spend your holiday or a long weekend as there’s so much to explore both in and around the town. Read on to learn more about our selection of great places to discover. A visit to The Prince of Wales’ stunning gardens should certainly be on your list of things to do whilst in the area. Carefully planned, designed and managed over the past 35 years using completely organic methods, the gardens are constantly evolving with the seasons. You’ll see everything from a traditional English garden to a fabulous wildflower meadow to incredible natural sculptures which have been specially commissioned. Book online or by telephone before you go. Open from April to October annually. 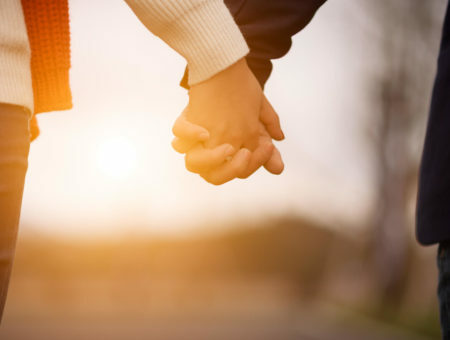 Close to the town centre, you’ll come across the highly-rated Royal Oak – a lovely place to while away a few hours over a long lunch or evening meal. Beautifully restored with timber beams, impressive wooden bar with panels reclaimed from a church and roaring open log fire, you’ll find a great choice of fabulous organic food and a host of regional and guest ales to whet the appetite. Vegetarians and vegans are exceptionally well catered for with meat-free Mondays a particular draw. Dogs are also made very welcome! Part of a growing Cotswold empire (though originating in Bristol), this branch of the award-winning bakery sits in Church Street. All bread and patisserie items are baked locally overnight by a dedicated team so they arrive in the morning perfectly fresh – what could be more tempting?! What is more you can have a sandwich made up on the spot, ideal if you’re heading out for a picnic locally. And there’s fresh coffee too. Fabulous! Built in 1655 by the Feoffees (a group of townsfolk set up to govern the town – and they still do! ), the Market House is the focal point of the town. It’s been used over the centuries for a whole variety of purposes, including the town’s lock-up before the police station arrived on the scene in the 19th century. Here in the 21st century you’re more likely to find an exhibition or market taking place, some underneath the ancient stone pillars on which the main building is perched. If you’ve something special to celebrate you can even rent it for the day or evening. Veloton is a bike shop with a difference. With the expression ‘Coffee makes the wheels go round’ buzzing in the heads of the owners, a bike shop with a coffee bar was born. So if you’re on a bicycle holiday in the Cotswolds, Veloton is there to provide expert advice, excellent service and a nice slice of cake with your coffee. The cafe’s milk is delivered fresh from a local dairy, the juices are all produced down the road and the cakes are homemade and organic. Nestling just outside of Tetbury, and close to Westonbirt Arboretum, this charming pottery showroom is a great platform for the work of local potter, Christopher White. Whether you’re looking for something for inside your home or for your garden, you’ll be sure to find it here. Either way the piece will certainly be one-of-a-kind and a great memento of your visit to the area. A vital part of the town’s heritage, the former police station and courtroom now houses this fascinating museum alongside the current council offices. You’ll have the chance to see where prisoners were held (take care not to lock yourself in!) as well as the complete magistrates’ court as it would have looked in the 1940s. Oh, and don’t miss the Alex Nichols Collection of Handcuffs and Restraints – a quirky exhibition you’ll not see anywhere else. Open Monday to Friday between 10am and 3pm (other times by appointment). Just five miles to the east of Tetbury, this charming, white-washed pub has gained an excellent reputation based on the quality of its dishes. All the food is prepared using locally sourced and seasonal produce so you can be sure it’s wonderfully fresh. And delicious it is, from pub classics such as fish and chips to main dishes covering meat, fish and vegetarian options, your taste buds will be well and truly tickled. You’ll also find a welcoming atmosphere enhanced by the lovely open fire and attentive staff. A great place for a Sunday lunch with the family. With parts of the house dating from the 14th century, Chavenage is a very special place indeed. It’s passed through various hands over the centuries yet despite this, it has remained largely untouched so you will see it in its full Elizabethan splendour. You may think its stunning exterior familiar and you’d be right – it has featured in all three series of the recent TV adaptation of ‘Poldark’. Open to the public from 1st May to 30th September 2018 on Thursdays and Sundays between 2 and 5 pm. Also open on Bank Holidays, Easter Sunday and Bank Holiday Mondays. If you love being outdoors, then Westonbirt Arboretum is definitely worth adding to your list of things to do. With over 15,000 trees from all over the world and numerous trails (some are dog-friendly), it’s a great place to explore for both children and adults alike. The addition of the Stihl Treetop Walkway means you can now even get a birds-eye view of the woods beneath you. You’ll also find regular events taking place including the popular ‘Forest Live’ concerts over the summer months and the ‘Enchanted Christmas’ trail in the winter. Open from 9am to 5pm every day apart from Christmas Day. Just a couple of miles to the west of Tetbury, only part of this historic castle (originating from the 13th century) remains. Although it’s not possible to visit the castle itself, you can take a stroll through the pretty gardens when they open as part of the National Gardens Scheme so it’s best to check before you set off. That said, you can also walk through the grounds via a public footpath and it’s worth taking the detour for the atmosphere and sense of history you’ll experience. A former coaching inn right in the middle of Tetbury, and loved by locals and visitors alike, The Ormond has a genial and friendly ambiance with plenty of modern touches. Visitors these days are more likely to arrive on two wheels rather than four legs as it’s run by a keen cyclist and has been named as ‘one of Europe’s most cycle-friendly hotels’ in the Sunday Times. Food is unpretentious and appetising and there’s a whole menu dedicated to pizzas alongside quality British modern dishes. No matter who you’re with, there should be something to please everyone. A great addition to the streets of Tetbury, this fabulous grocery store only opened in November 2017. Stocking a vast array of artisan and specialist goods alongside staples such as locally sourced fresh veg, you’re bound to find something you’ll want to buy here. A range of dietary needs are also catered for and there’s a strong ethical ethos running throughout. For the kid in you (rekindle those sweet shop memories!) and for kids today, this is the go-to place for your sweet treats in Tetbury. You’ll always receive a very warm welcome and you’ll definitely find things you never thought you’d see again. Everything is displayed beautifully in glass jars or on spacious shelves and there’s plenty of room in which to browse. There’s even a selection of healthier treats to balance out all that sugar. A firm favourite. If you love unusual art and unique items for your home, then look no further than the Bay Gallery. This colourful store is crammed full of striking paintings, tiles, rugs and much more besides, with its roots very firmly in bringing the art and design skills of the Aboriginal communities of the North West Territories in Australia to a new audience. The only dedicated Australian Aboriginal art gallery in the UK, this very different take on interior design is well worth a closer look. 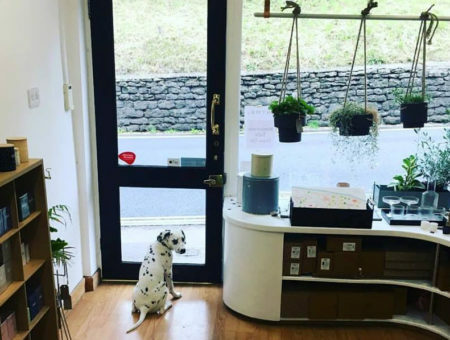 Although the name might rekindle long lost memories of school days in you, don’t be fooled as this delightfully eclectic store certainly isn’t old-fashioned. Set in a Georgian townhouse in Long Street, the ambiance is relaxed and laid-back as you wander around the different rooms and take in the fantastic choice of homewares, gifts, cards, clothing, toiletries and candles. What’s more you’ll find a great in-house café to enjoy a coffee in (with cake of course!). With its tall, elegant spire, Tetbury’s Parish Church is certainly eye-catching. Built in 1777 to replace the medieval church, some of the original building materials were retained to construct the current tower and spire. Restoration at the end of the 20th century reverted the church’s interior to its original Georgian design, making it one of the loveliest examples of a Georgian Gothic church in the country. Open daily. On a walk around the beautiful town of Tetbury, we photographed all the fun and fabulous door knockers we passed… we’re sure you’ll agree that they are all just wonderful!